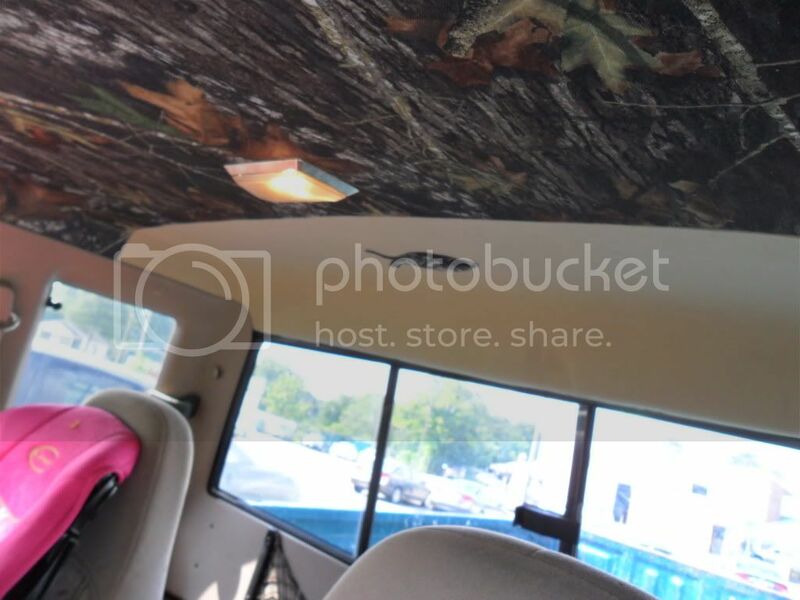 I installed this camo headliner yesterday...It was way more work to do than I thought it would be......I really need a new headliner board but I didn't want to buy one without having ever covering one before. so I did some patch work on the old one and work it in. Should have gone all the way back. I imagian it was a lot of work, and having to hold your arms up like that all day...wow. But you know what, you did a Damn-Good job on it! You work hard for what you have and you want it to be right, so there you have it. Looks great. I want to do something similiar to that. I know this airbrush artist who has done it 30 years and was an artist for disney movies, so he's GOOD at what he does. 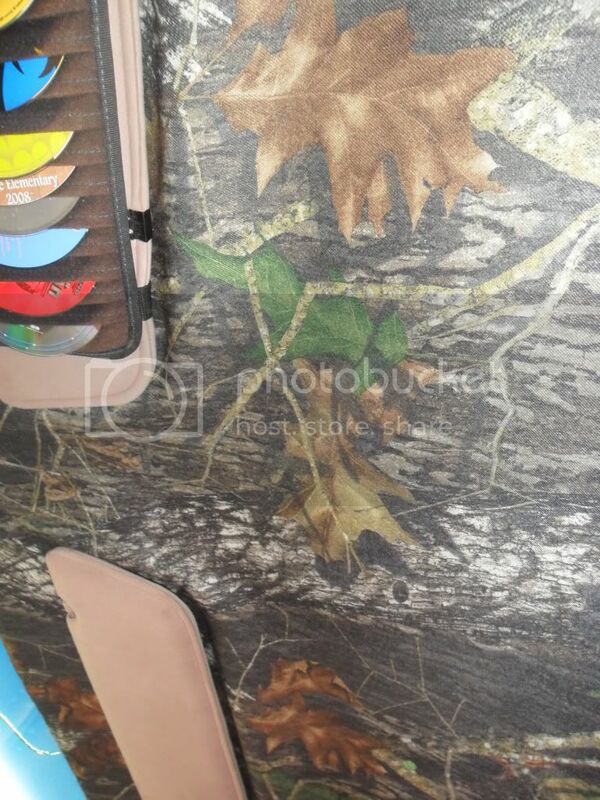 I wanted him to airbrush a black ford or ranger logo in the middle of my headliner. He airbrushed a browning symbol inside one of my friends light dome in the cab of his truck and it looks cool when he turns it on. I imagian it was a lot of work, and having to hold your arms up like that all day...wow. 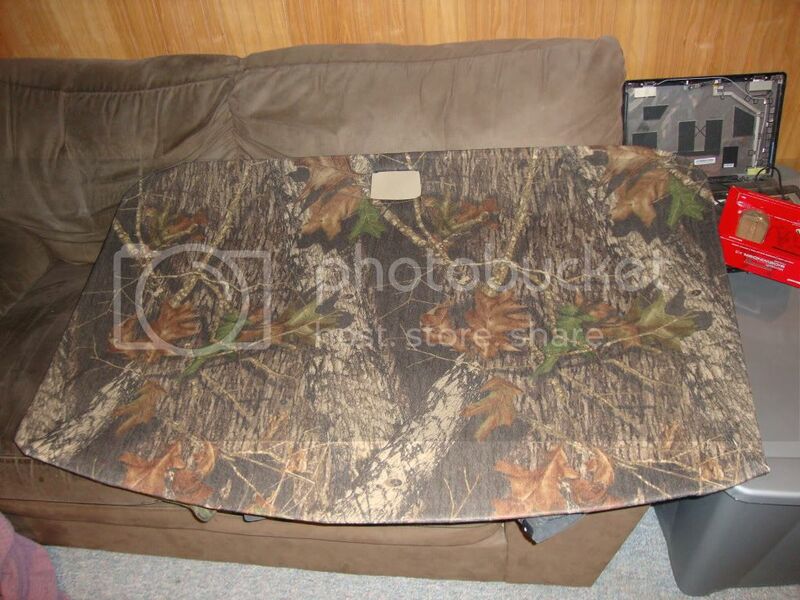 you take the board out of the truck. no need to have your arms up all day. just a few minutes to pull the board and to put it back in. this is a V6 right? 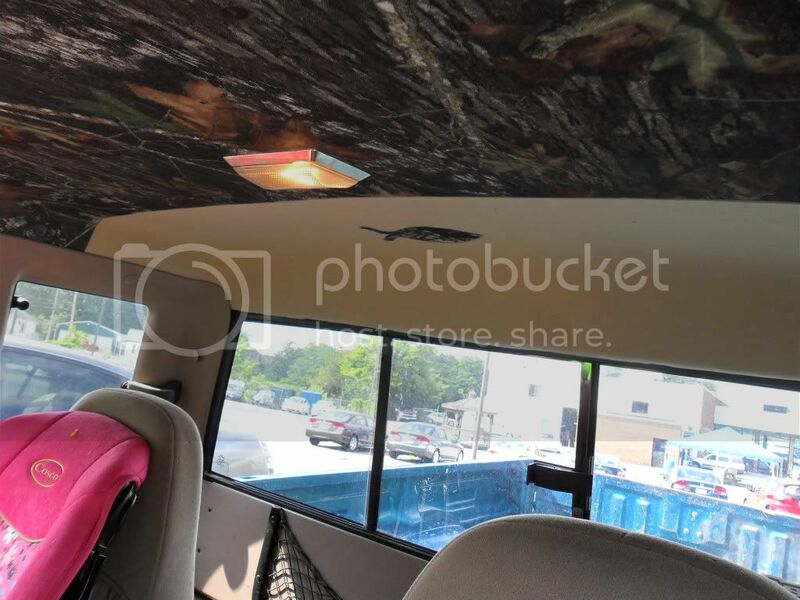 I did mine a couple weeks ago in my single cab, I used Mossy oak indoor/outdoor Carpet that I bought at Meijer for like 10$ one roll was plenty enough to do the headliner. 1988 Ford Ranger XLT Standard cab, 2.9L V6, 5 Speed stick, 2wd.